“Its simplicity is unbelievable,” he added. According to Ferragu, a comparable car built by other automakers would take anywhere from 130 to 200 steps. Seven months ago Tesla was an auto manufacturer trying too hard, but couldn’t get anything right. Tesla drew plenty of criticism from wall street analysts and was mocked, at times by auto industry veterans. Tesla kept improving through the year despite production setbacks and distractions often forced on the company by the CEO himself. Tesla is now targeting to build 1000 Model 3s per day. 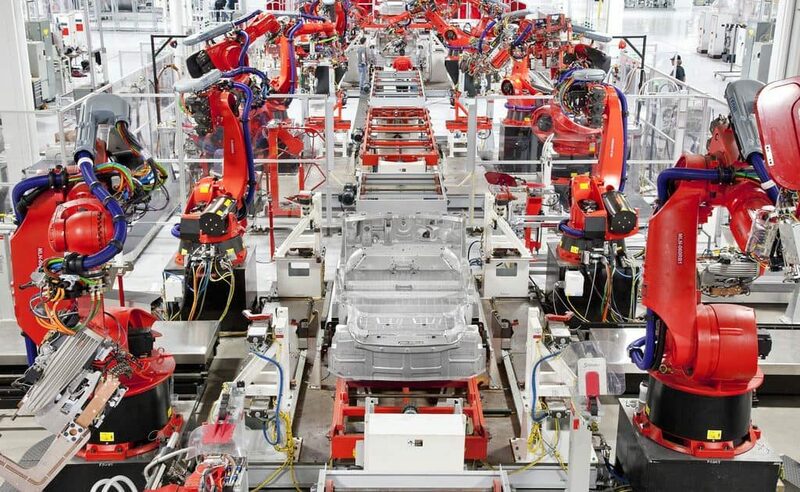 Though the number may not look that great for automakers selling hundreds of thousands of cars every year, for Tesla, increasing production from 793 units per week to 1,000 units per day in less than 12 months is a humongous effort. While it is evident from Mr.Ferragu’s note, that Tesla not only increased its production capacity at a fast rate but also improved and innovated, rethinking the way things were done in the auto industry. This is why the model 3 production line is 90 steps ahead of the rest. What Tesla learned in the last one year, will give the company great confidence to expand its production capacity further in the next several years and do that while spending a lot less. Tesla has spent more than 5 billion dollars on Gigafactory but it’s yet to get its battery facility to its full production capacity of 500,000 units. But Musk remains confident that Gigafactory 3, with a production capacity of 250k units annually, can be built with no more than two billion dollars. Why the reduction in cost? Because of learning, Musk says. “So with respect to Gigafactory CapEx, I think we learned a tremendous amount with Gigafactory 1, and we’re confident that we can do the Gigafactory in China for a lot less. I think it’s probably closer to – this is just a guess, but probably closer to $2 billion, and that should be at a higher – and that would be sort of at the 250,000 vehicles per year rate. Wright’s law “states that progress increases with experience” and Tesla has earned its experience by making plenty of mistakes. Costly mistakes like over automation, which may never happen again. “Failure is where one learns the most. The third assembly line, pulled together under a tent in three weeks, is impressively efficient and well-organized. One more time, by shooting way too high, Tesla failed on its original plan, but achieved a world-class result.” says Ferragu.